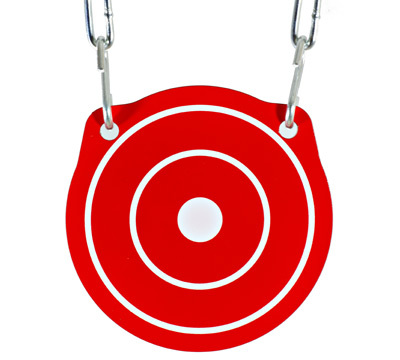 This handy, effective and attractive 6" Gong Target is made from 1/4" AR400 steel for strength and durability. 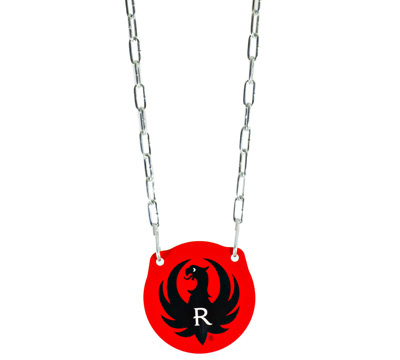 Designed for use with .22 LR rimfire ammunition and pellets. 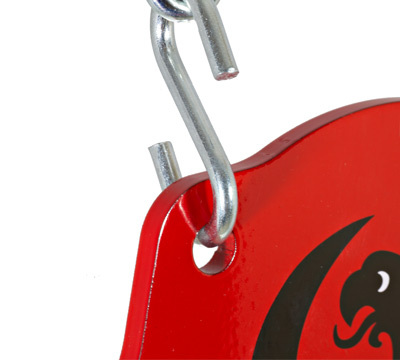 Note: not recommended for use with magnum ammunition, BBs or shotgun slugs. 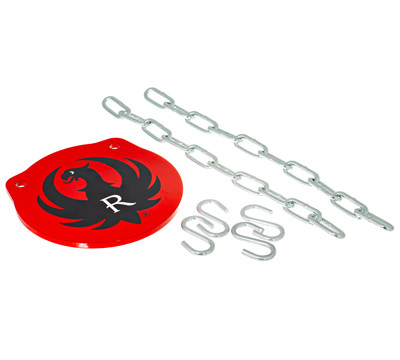 The kit includes (4) .192" diameter galvanized s-hooks and (2) 12" lengths of electro-galvanized coil chain to hang the target in a variety of convenient ways in the field or on the range. 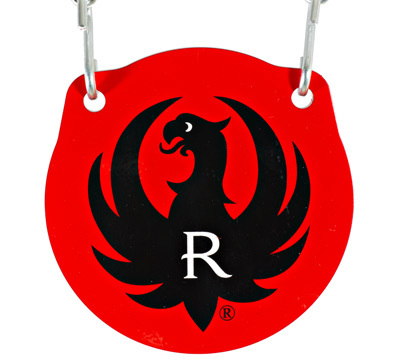 The gong is silkscreened with the Ruger logo on one side and a white ring/bull on the opposite side. Made in the USA by Birchwood Casey.